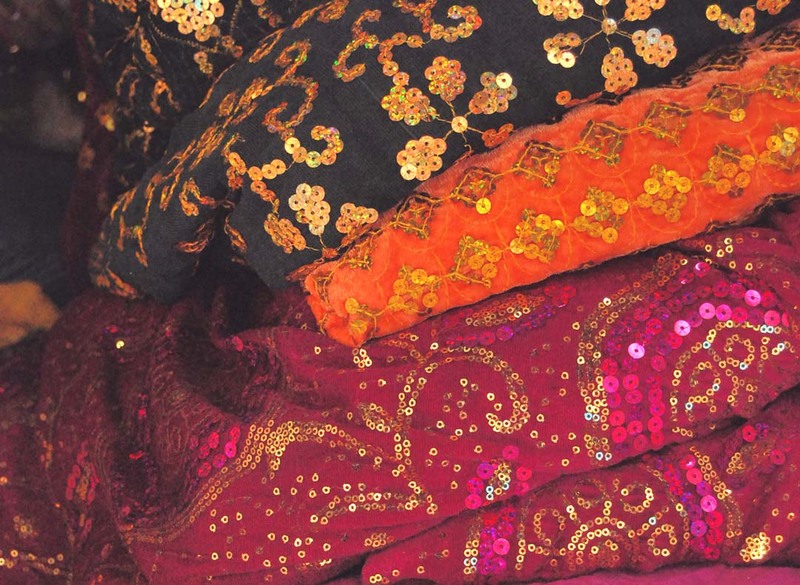 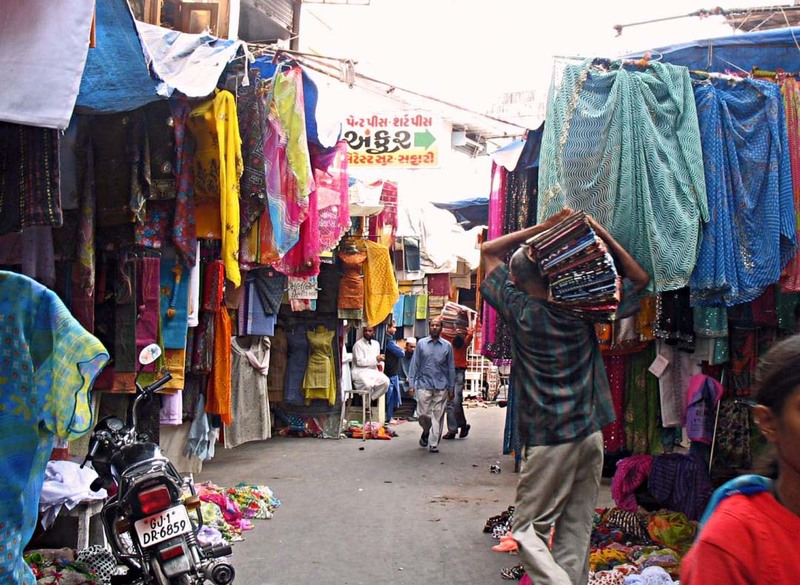 Dhalgarwad, near Teen Darwaza, is a lively cloth market selling a wide variety of fabrics at reasonable prices. 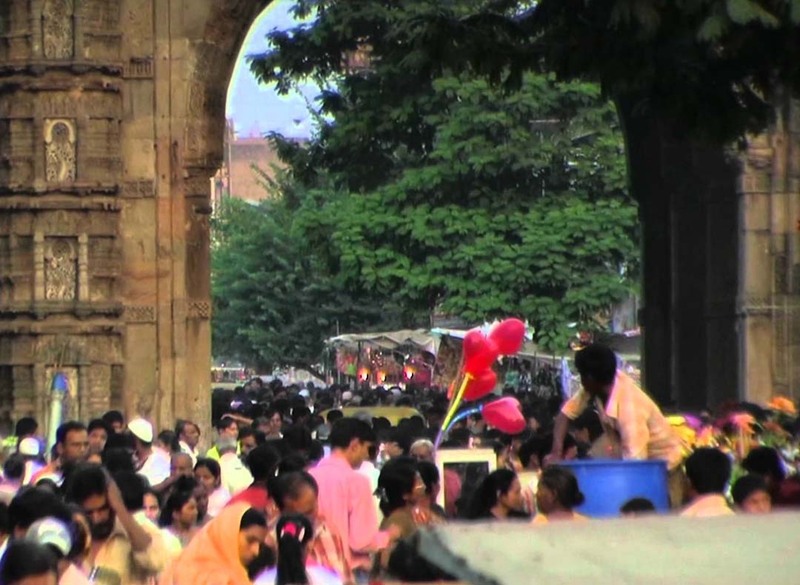 From here travel southward to Khamasa Chowki, where within a 1 km radius, there is a place of worship for almost every religious faith in India. 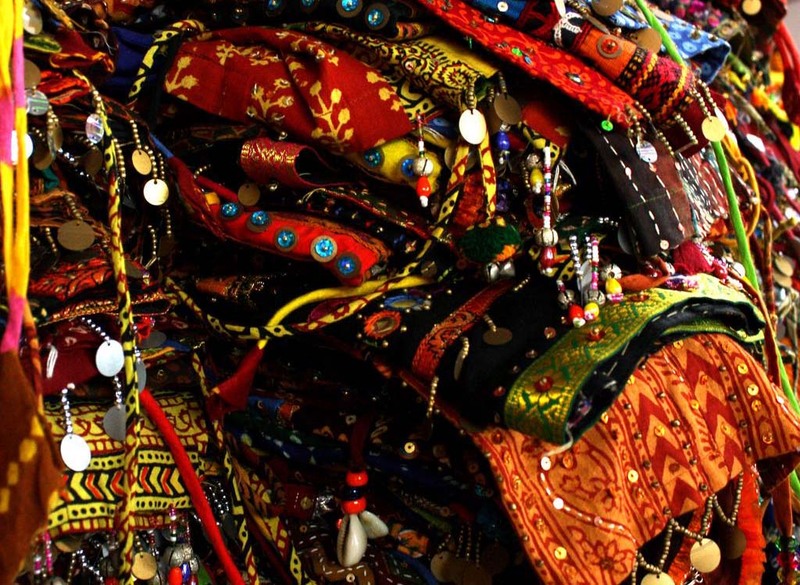 Ahmedabad’s only synagogue is just north of this chowki.